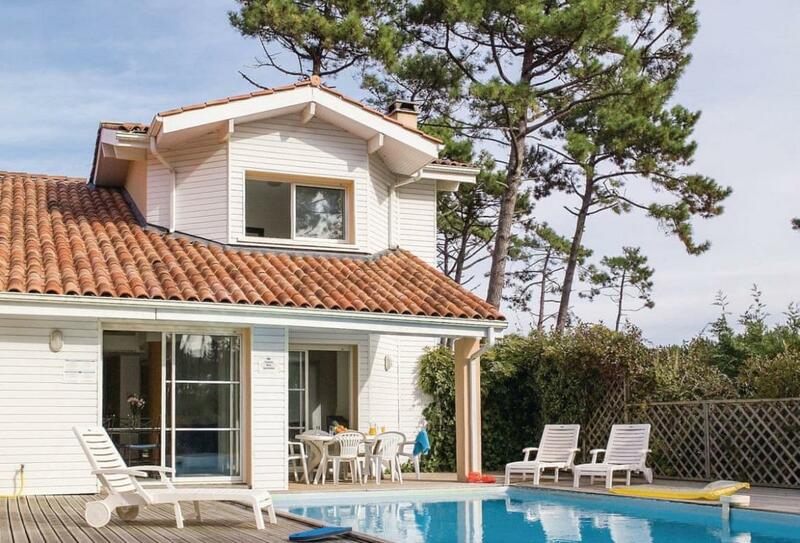 Beautiful 3 bedroom holiday home to comfortably sleep up to 6 near Moliets-et-Maa, Aquitaine. Ideal for a family holiday, this self catering home offers a private pool area that's ideal for the kids and has everything to make your holiday unforgettable! On site parking. Satellite TV. Cot available. Highchair available. Restaurant nearby.